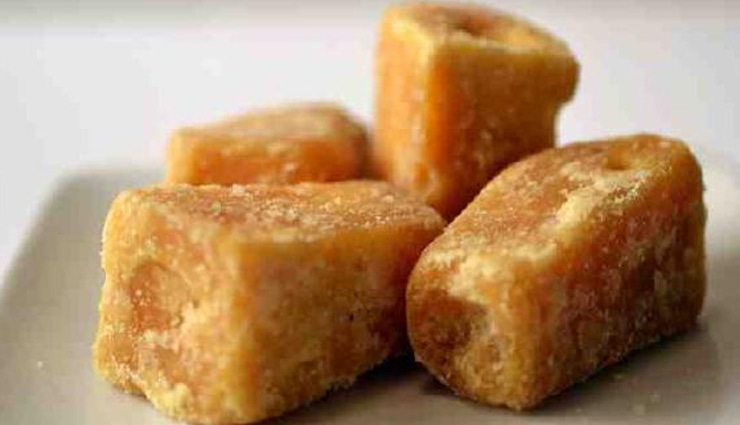 Jaggery (or gur) is made from unrefined sugar, and is obtained by boiling raw, concentrated sugar cane juice till it solidifies. Although jaggery is also made from the sap of coconut and date palm, the one made from sugar cane is the one that’s used most widely. * It prevents constipation by aiding digestion. It activates the digestive enzymes in our body, thus helps in proper digestion of food. That’s why many people prefer eating jaggery after a meal. * It acts as a detox, as it helps cleanse the liver by flushing out nasty toxins from the body. * Jaggery is loaded with antioxidants and minerals like zinc and selenium, which help prevent free-radicals (responsible for early ageing). It helps boost resistance against infections, hence building stronger immunity. 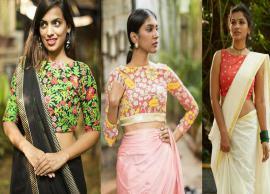 * Eating a piece of jaggery daily can help women combat PMS symptoms including mood swings, menstrual cramps and abdominal pain. 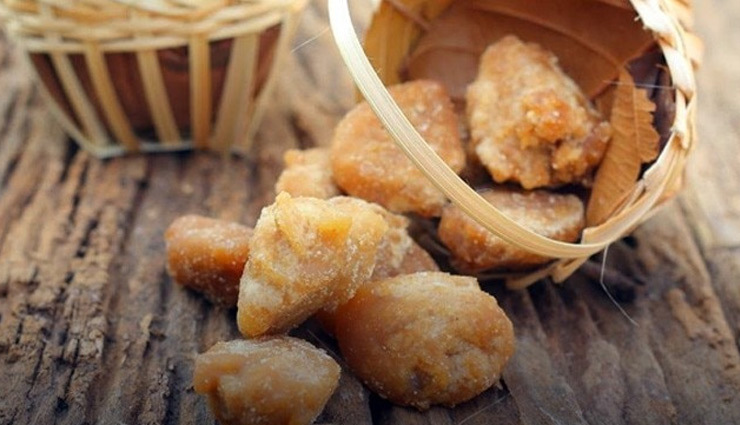 * Jaggery acts as a natural sweetener and provides energy over an extended period of time. Even factory-made honey has been deemed unhealthy because it gets ripped of its nutrients. That’s when jaggery steps in!